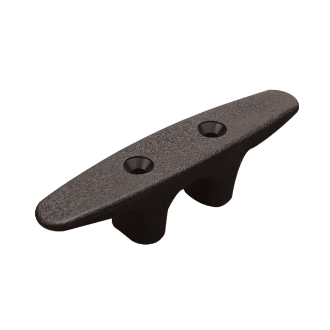 Extremely durable, open-base Black Nylon Cleats have a textured surface. Excellent for boats or docks. Two mounting holes. Mounting hardware (1/4" screws) not included.